Terrific location! 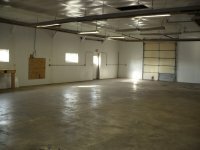 Approximately 3,200 sq. 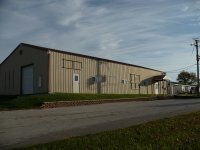 ft. of office and heated warehouse space available for rent at 4760 IL Rt. 173, Poplar Grove, IL. $1,500.00 per month Rent, plus Security Deposit. Renter pays all utilities. Includes store front/reception area and office area. Two overhead doors to warehouse. Excellent traffic on Rt. 173, just East of the Junction of Rt. 76 and Rt. 173, 1 mile north of Candlewick Lake. Call 815-943-6629 for more information or to schedule a tour. Zoned Commercial.